injury Can Sport Accidents Lead to Whiplash Injury Claims? Can Sport Accidents Lead to Whiplash Injury Claims? Whiplash is most commonly associated with car accident compensation claims, but this injury does not just occur following motor vehicle accidents. Many people have developed whiplash due to sports injuries, and the consequences of this injury can be just as severe in sport accidents as it is in car accidents. What sports can lead to whiplash injuries? Almost every sport can cause a whiplash injury. When people run at high speeds and then stop, this can cause the neck to rapidly move forwards and backwards, leading to whiplash. Blows to the head can occur in any combat sport, which can lead to a range of personal injuries. As well as concussion, head injuries and brain damage, a blow to the head can also cause whiplash. As a result, there are safety regulations that combat sports must adhere to that should prevent participants experiencing a whiplash injury or any other health problems. People can speak to personal injury solicitors if organisations fail to follow these regulations and their negligence leads to whiplash. These high-energy combat sports pose a real risk of whiplash to participants. If a ruby player is hit in multiple directions at the same time, the head can whip forwards and backwards, leading to a whiplash compensation claim. When people play ice hockey, they can travel around at speeds exceeding 25mph. When players come to an abrupt stop at these speeds, or collide with each other, the forces involved can cause a range of personal injuries. As well as whiplash, these include back injuries, brain injuries and broken bones. While gymnastics may look graceful and relatively safe, it is actually an incredibly dangerous sport. Cheerleaders and gymnasts may have to perform complicated moves at height, or twist their body in dangerous positions. When these moves are done badly due to another person’s negligence, people can make a whiplash compensation claim when they suffer a personal injury. The speeds people reach when skiing and snowboarding can be exceptionally fast, and when they make mistakes, they can come to a rapid halt by crashing into objects or falling over. This causes the same extension of the neck as seen in motor vehicle accidents and can cause whiplash. With whiplash so commonly seen in car accident compensation claims, it is unsurprising that it is also a risk factor in motor racing. There are a number of safety features in many modern racing cars, including head and neck restraints, and these should help to protect drivers if they have an accident. When these drivers suffer whiplash in an accident that was not their fault, they can make a personal injury compensation claim. The risk of whiplash injuries is well-documented in many sports and participants should be aware that this is a danger. However, there are a few devices and tips that can improve people’s personal safety and prevent them from suffering a whiplash injury. When heading for an impact in any sport, from motor racing to rugby, participants should brace to prepare themselves. 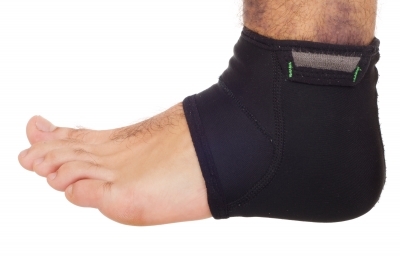 Bracing is the human body’s way of protecting itself and is an almost instinctive reaction. Be aware of the risk of a whiplash injury and try to prevent your head from moving around or your neck from being extended. When snowboarders and skiers were polled about helmet use, they suggested that wearing helmets actually increased their risk of suffering a whiplash injury. Research revealed this is likely not the case, as well as that helmets can prevent a range of other injuries. Helmets should also be used in full-combat martial arts, as should gloves and other padding. Neck and head restraints are available in some sports, such as motor racing. These can significantly reduce the likelihood of a driver suffering a serious personal injury in a collision or crash. Head restraints, including head rests, should be positioned properly. People who have been in a collision in sports and who think they may have suffered a personal injury should seek medical treatment immediately. Whiplash injuries can take a while to emerge, and medicines or other treatments can reduce the severity and intensity of the condition when it does arise. Medical treatment will also dramatically improve a person’s likelihood of recovering from what can be a disabling, serious health problem. Claiming compensation can help people fund medical treatments and deal with other expenses after suffering whiplash. Speak to whiplash solicitors to get started. Adam William loves travelling on his Suzuki motorcycle and pedalling around on his BMX, but he is always acutely aware of the risks he faces while on the roads. As a result, he spends a lot of time blogging about motor vehicle accidents and cycle accident claims. He also likes listening to heavy metal and looking cool in fluorescent high-visibility clothes.